If your device uses iOS, the mobile operating system created and developed by Apple, find the ‘App Store’ icon and tap it to access the store. 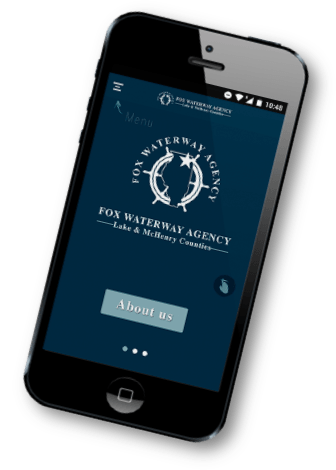 Search for “Fox Waterway Agency”, install it and enjoy it! 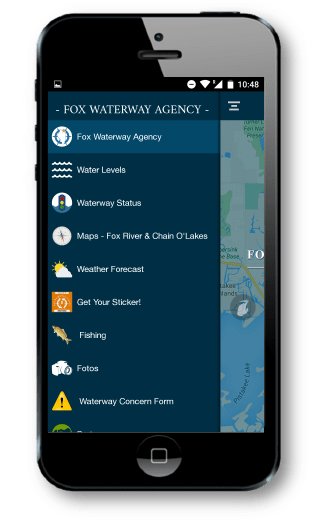 If you are using a device with Android, the operating system of Google, find the ‘Google Play’ icon, open it, search for “Fox Waterway Agency”, install it and enjoy it!